Facebook ads, landing pages with funnels, and Craigslist posts may be some of the first methods that you reach for when you think about getting discount real estate leads and improving your house flipping pipeline, but real estate is very much a relationship business, and relationships are still some of the most effective ways to fill your deal pipeline of distressed houses to flip. 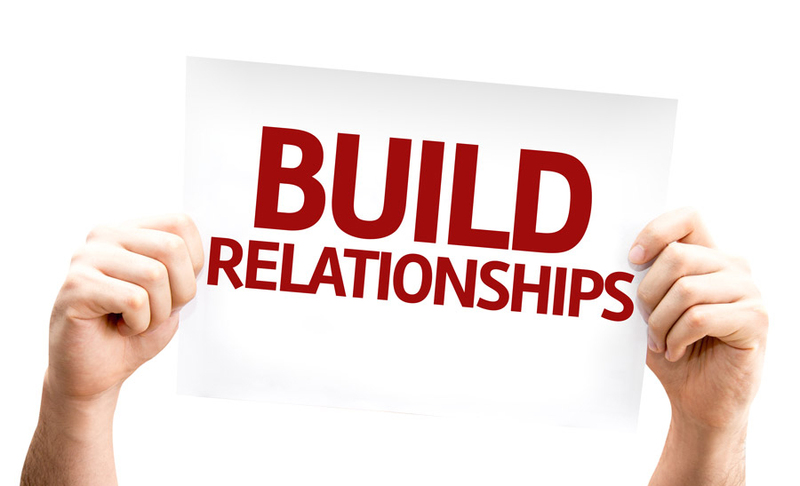 Relationships give you access to the thousands of people on the outskirts of real estate transactions that you can tap into as great sources of real estate referrals. The list below details the many types of people and businesses that you can build relationships with, to in turn help you get in front of more motivated sellers with distressed properties. The MLS is not dead, at least not everywhere, and you can still find good deals on-market, especially in markets where values are going up rapidly. Although you can find many types of distressed on-market properties without the need for a realtor, some advanced searches such as for Expired or Withdrawn listings are still mostly reserved for licensed professionals with MLS access. Thus, having a good network of realtors with an ear to the ground is still one of the top ways of finding deals. Expired listings are those for which an agent did not find a buyer and the contract between the seller and the original agent came to an end. These listings are now technically off market, however you already know that the seller was in some way motivated to sell the house. The most likely reason listings expire is that they were overpriced, and so after it expires the homeowner may be more receptive to a lower price. Withdrawn listings, on the other hand, are those that may still be under the terms of a listing agreement with the original real estate agent, and so still technically on-market even though the listing is not on the MLS anymore. The seller of such a listing may have needed to withdraw it from the market for any number of reasons, such as repairs needed on the home, and may also be motivated to sell the home at a discount so that they don’t have to deal with the reasons for withdrawing the listing. Of course, every realtor should also have an ear to the ground for pocket listings, those fantastic gems that they know about before they even go on the market. Title companies are in the thick of property transactions, and know when a closing fails. Property sellers who have buyers back out of deals may need assistance in closing quickly and are highly motivated. In either case, your title rep can let you know so that you can step in to save the day. Whether it’s divorce, estate, probate, or real estate attorneys that you reach out to and build a relationship with. As a rule they’re unlikely to recommend someone that they have not worked with before, as they would be putting their reputation on the line, so it’s important to build a strong relationship of value first, and only then ask for the business. Clients of divorce attorneys who are getting divorced often want to dissolve the family home as soon as possible. If an estate is going through probate, an attorney who specializes in probate may be able to let you know if a private sale will occur before it’s published in the newspaper. These attorneys have relationships with developers, investors, and home builders who may be in need of a buyer like yourself. Property managers have inside knowledge as to which properties are well maintained, and which properties have renters that are paying on time, and those that aren’t. If the vacancy rate or eviction rate is high, a landlord may be ready to throw in the towel, and the property manager might just be the one who lets you know about it. Hard money lenders know when a rehabber is in over their head and needs someone to step in so that they are sure to get their money back. You can be that reliable backup to step in and take over a troubled property. A person who is facing a situation where they need credit repair or counseling likely took a huge hit to their credit, by missing mortgage payments or defaulting on a loan. They may be looking to unload their property to pay off debts. Always in the know when it comes to their client’s financials, accountants might be able to pinpoint who needs to liquidate, fast, and might be able to suggest your ability to purchase and close quickly to their customers. Charitable groups and churches often receive gifts of property. In many cases they would prefer quick cash instead, so see if they have any inventory they would like to liquidate. When a family member is moved into retirement or nursing care, the family may wonder what to do with the former home and contents, especially if the person is incapacitated and unable to make decisions. You can provide your information offering a quick sale. One way to help the owners, who may be overwhelmed by the amount of possessions they have to remove and sift through, is to offer to clean up, pack up, and haul items away from the home for them if they decide to sell to you. Offer your information to the Director, who may keep you in mind if a family eventually wants to sell the property of the deceased person. If you live near a military base, try marketing to servicemen and women who may have received deployment orders and need to sell fast. Insurance brokers know when there has been a status change on a property, such as when a rental changes to vacant or when there has been a fire or disaster and the owner wants to sell. New home builders that overpromised may need help, or can direct you to owners who ran out of money before a build was complete. The service-based businesses below see it all, day in and day out. They are there when a home is being cleaned or repaired, they drive by the stuffed, saggy mailboxes of vacant houses, and they know when homeowners are behind on payments. Create wallet sized cards with “$$$$ for Houses, Any Condition” or some other clear message that fits your business model, and deliver them to the businesses below. Who better knows when an owner is in jail for a long time — or needs quick money for bail. Who better knows if a flipper started a rehab and ran out of money? Rehab construction companies do, and it benefits them to get someone in to finish a project. From electricians to plumbers, you’ll find the eyes you need all over town. When a car is repossessed, that may mean the owner could not make payments and is in distress as well. Lock changes due to evictions and move outs are sure clues that the status of a property has changed. These companies specialize in property board-ups, clean-ups, and pool drains. As the name says, if there’s been any type of home flooding, disaster, or fire, they are often the first to be called. Do you talk to your local barber or salon while getting a cut? So does everyone else! Landscapers have routes that often take them through one part of town repeatedly. Find a few around your target area and ask them to keep a lookout for changes. Moving in? Moving out? Carpet cleaners know. Don’t forget the everyday handyman who talks to everyone. The cable guy will know when someone’s cable gets disconnected. Delivery companies cover a lot of territory, more than you could ever cover on your own. While they may not know of a particular homeowner’s situation, you can offer to pay them for any closed leads that they send you, for any addresses on their routes that look dilapidated, overgrown, or perfect candidates for a driving for dollars campaign. Newspaper carriers can tell you about which properties look vacant. Mail carriers often see the first signs of trouble with disconnect notices, and last warning envelopes. A real estate wholesaler is a term used to describe someone who purchases or places a discounted property under contract and then assigns or double-closes that property to a buyer, usually a house flipper, for a finder’s fee built in to the purchase price. Why would you want to pay someone else for a deal? A real estate wholesaler will perform all of the lead generation that you would normally have to do, to find the deal. A good wholesaler will have dialed in their techniques to be able to come up with more deals than you could come up with on your own, or can even participate in. A good wholesaler will also make sure that the deal is a win-win-win for the seller and the investor, and himself, where the seller gets a ticket out of their situation, the investor gets enough spread to make a profit, and the wholesaler gets the finder’s fee for their efforts. To find wholesalers, you can go to real estate meetups, or call the phone numbers on those “We Buy Houses” signs. A wholesaler who hustles will ask you for your buying criteria and then actively try to find deals that meet it. Soon, a steady stream of deals will be coming to you. Where a wholesaler should bring you a deal that’s ready to close, a bird dog might use all of the techniques mentioned to get you a lead, leaving it up to you to follow up and close the deal. Consequently, the finder’s fee will be commensurate with how early in the process the lead is. It might be counterintuitive to you to meet with other people who you might almost consider competition. Well, you should forget about all that and instead adopt an abundance mindset. We all have our specific skillsets and resources, and more often than not you can do much better by partnering with someone. For example you might meet other investors who may already have access to deals, but have run out of sources for money. Conversely, you might meet partners who have money, who are looking to partner up with you because of your background in construction management. Meet as many people successful in your favorite real estate investment strategy, and I guarantee you, that you will find an abundance of opportunity. Although the Internet has made it easier than ever to find real estate deals for your house flipping or real estate investment business, real estate is still very much a relationship business, and you would be well rewarded by building relationships with the types of people who frequently come across the kind of opportunities that end up being great deals. But building relationships is not just about advertising and not about shoving your cards down people’s throats. Building relationships starts with providing value, and being of service to others with no strings attached, so that when that opportunity does come around, that you become the only logical referral.